The parts of a basket are the base, the side walls, and the rim. 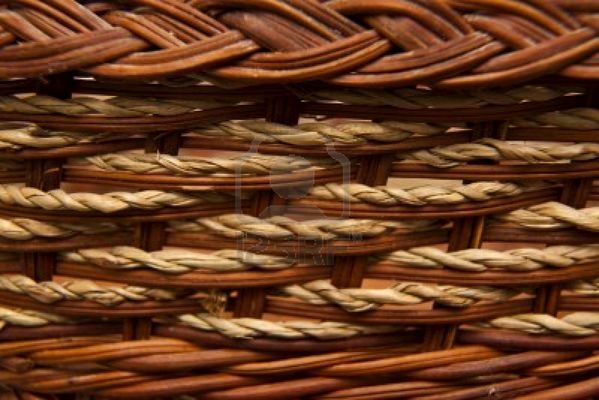 A basket may also have a lid, handle, or embellishments. Most baskets begin with a base. The base can either be woven with reed or wooden. A wooden base can come in many shapes to make a wide variety of shapes of baskets. The 'static' pieces of the work are laid down first. In a round basket they are referred to as 'spokes'; in other shapes they are called 'stakes' or 'staves'. Then the 'weavers' are used to fill in the sides of a basket. A wide variety of patterns can be made by changing the size, color, or by placement of a certain style of weave. To achieve a multi-coloured effect, aboriginal artists first dye the twine and then weave the twines together in elaborate fashions. Fruit Baskets - 20 High Quality Plr Articles Pack!